Royal Troon hosts this weeks Open Championship and the Ayrshire coast is set to give us a roller coaster of weather, if not too severe. We have tried to read weather forecasts in Scotland to find the draw advantage and in doing so completely forgotten who can play and who cant. So having looked in to the shipping forecast for South and North Utcera, Viking, Dogga and beyond, we have decided we will just forget about the weather all together and make sure we pick people who can cope. Our short list can and will this weekend. The Open has had 3 of the last five winners all aged 40 and over but that isn’t something that means the young-uns cant win, its just that there are now more players over 40 playing than under 40 these days. And why not. 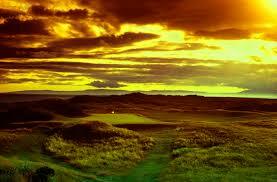 Graeme Mc Dowell made a cheque for $120,000 for finishing 18th in the US Open – can you believe that!!! I would keep playing until my arms dropped off. He is one of our tips for this weekend as it happens. He finished 9th in the the 5th major, that being the Players Championship and last weekend was an unlucky 10th in Scotland. In both of those majors he hasn’t carded a score over par in any round this year and his putting looked like he was feeling as though they all should go in. He can play in any conditions and has won big and plenty of times. 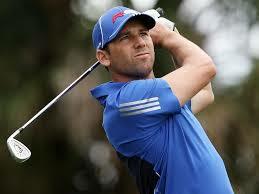 Sergio Garcia is our wild card. He simply hasn’t won the big one yet but that could all change. No one hits it straighter or has as much shot making imagination. He also looks relaxed and as though he is no expecting the ball to go in the hole rather than just hoping. he is also playing well at the moment. He is now starting to look like a winner again. Chris Wood is a name that not a lot of people know but I have been following him for a couple of years since his strong showing in the Open at Birkdale a few years ago. He has a lot of game and whilst tall people aren’t normally good to go with in high winds he was brought up in tough conditions and has a game that doesn’t go off easily. We won the BMW in good style this year was 23rd in the US Open and took a week off after 11th in France to make sure he was spot on for this week. Martin Kaymer is my Scandinavian pick. If you follow me you will know to leave Henrik out is awful for me but I think I have followed him over a cliff so Kaymer it is. 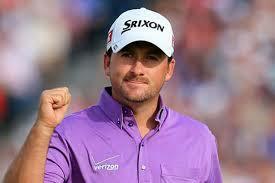 He has two majors, a WGC and a Players Championship and he seems to get it so right in big events. He is the real deal and our Viking choice. Our 5th and most confident pick against the field is Jordan Speith. The best golfer on the planet has been a little shaky – that is up until the Bridgestone where he finished 3rd and declared that he was striking the ball so well and could confidently hit it two different ways. he is already the best putter in the world so look out. His price is massive. He should be half what he is quoted at. So, lets enjoy and get on some quality players for what is the best event of the year.